Greenhouse shade cloth will cool the interior of your greenhouse by using a 70% shade cloth designed for horticultural use on the exterior of your greenhouse. This greenhouse shade cloth price is for size measuring 12' wide x 12' long. 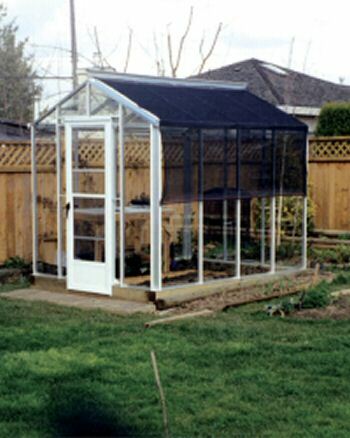 The greenhouse shade cloth is also available in 6' widths and any length can be ordered. Pricing for the 6' width is $6.00 per linear foot. Pricing for the 12' width is $10.00 per linear foot. Please call toll free 1-800-665-2124 to choose the desired length. Shipping charges will apply if this item is ordered separately from a greenhouse. If you require additional information, please call 1-800-665-2124.